Three dimensional effect. Luxurious volume. And fascinating light reflection. 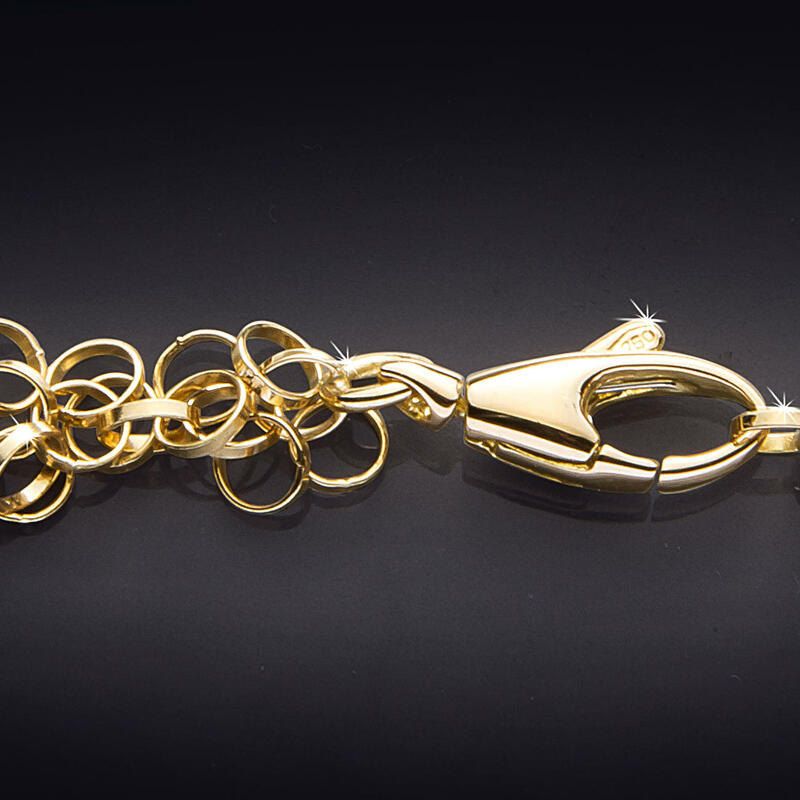 This elaborately crafted triplet chain is a precious, versatile piece of jewellery with astonishing effect. It appears heavy and voluminous – in reality, however, it is quite lightweight. 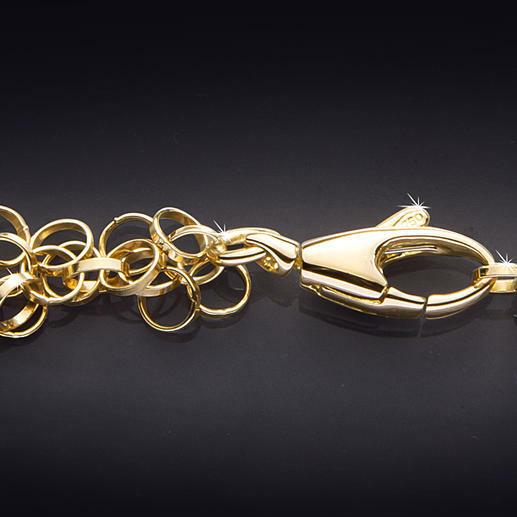 Made from over 500 delicate, individual gold links, it nestles against the neck softly without twinging. Supple and beautifully flowing, it plunges into the décolleté, adorns the neckline of your dresses, blouses and pullovers. Whether sunshine or candle light – the light refraction in the differently oriented links makes the gold chain shine and sparkle as if it has hundreds of tiny diamonds. 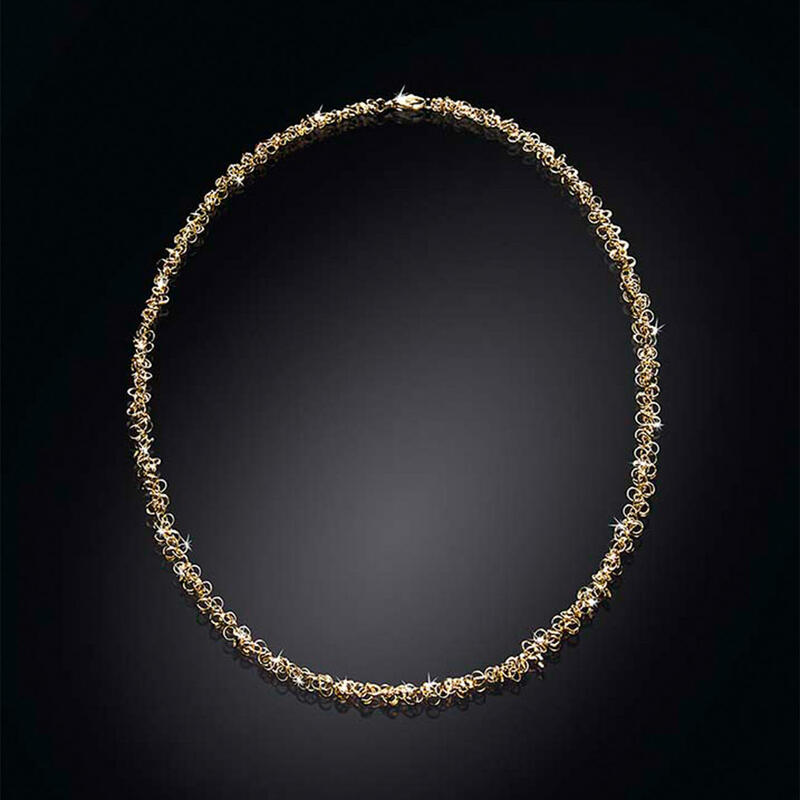 A great eye-catcher – for simple daytime looks as well as for glamorous evening attire. Smooth and still secure spring hook closure. 750 yellow gold. Measures 45cm (17.7″). Weighs approx. 9g.